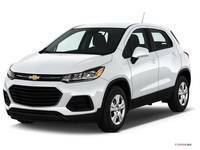 Browse our latest Chevy Lease Specials, Offers and Deals. At Banks Chevrolet in Concord, NH we offer some of the greatest lease deals on every Chevrolet model. We offer the best pricing in New Hampshire for $0 down Chevy lease specials. Just a short drive away from Manchester, NH. Browse our current lease specials below or select a specific model you're looking for. 2019 Chevy Camaro Lease Deal - No Money Down, $424/mo for GM & non-GM Lessees. Stock #90684, MSRP $25995, 36 mos. 10K miles per year, on credit approval. Stock #91227, MSRP $21495, 36 mos. 10K miles per year. See dealer for details. Stock #90785, MSRP $20495, 36 mos. 10K miles per year. See dealer for details. Stock #90177, MSRP $62315, 36 mos., 10K per year, on credit approval. See dealer for details. Stock #90856, MSRP $24290, 36 mos., 10K per year, on credit approval. See dealer for details.